The far too liberal use of deadly force by police in a conservative country. Reflecting on the consequences of the far too liberal use of deadly force by police in a conservative country. Far too many police precincts around the United States have a shoot first, ask questions later approach. In most countries, the use of deadly force is reserved only for the rarest of circumstances. The transatlantic contrast between the permissible and impermissible use of deadly force could not be larger. Police in Europe are taught to shoot, if they must, at the limbs. They can maim, but basically not kill. Police in US can use deadly force when “feeling” threatened. Making the decision to kill extremely subjective. As the intense public debate and endless media coverage demonstrate, the United States still has a significant problem with racism. Deplorable as that is in and by itself, the problem is exacerbated by the all too liberal use of deadly force by police across much of the country. Far too little attention is given to this dimension of the problem. That is all the more surprising as it is, of course, also deeply intertwined with U.S. racial history. 1. African-Americans are disproportionately the victims of this unpardonable U.S. practice, although they are not its sole victims. 2. African-Americans account for 13% of the U.S. population, but are 39% of those victims killed by police while not attacking. The number is even higher at close range. 3. African-American victims of fatal police shootings during arrest also tend to be much younger than White or Hispanic victims. 4. While their White counterparts are readily viewed as “teens” or “children,” young African-Americans find themselves described – as was the case with the Ferguson grand jury – as having super strength and size that justifies deadlier force than with young White suspects. The recent cases in Ferguson and Cleveland are but the very public and latest painful manifestations of the country’s underlying problems with rules governing the legitimate monopoly on the use of force. Leaving aside America’s gun fetish as a whole, what is even more grotesque (but not unrelated to US racism) is the ease with which police are entitled to use deadly force in general, even when not embellishing their justifications with racial code words. To be sure, other countries have their fair share of criminals as well, as well as a few terrorists and insane people. And yet, if you look at Germany, for instance, the core of a policeman’s training there is about exercising the maximum amount of restraint in critical situations. What is drilled into new recruits – and, at regular intervals, in refresher courses into all of the old hands as well – is the proportionality doctrine. Basically, all of the discussion there centers on the question of the degree of force allowed. Deadly force – the tool to which the U.S. police resort so regularly – is reserved only for the rarest of circumstances that are very tightly defined. 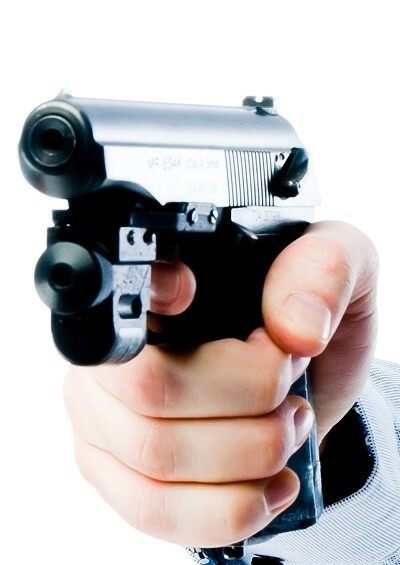 An example is a hostage-taking situation where somebody points a gun at the head of the victim and appears imminently ready to kill the hostage. But even under such extreme circumstances, explicit clearances are required. Where those are not available in the heat of the action, and a policeman or policewoman decides to act to use deadly force, there is always a very intensive, legally involved review process by experts – rather than a bewildered (or easily stage-managed) jury of 12 average citizens. That practice of intense post-event review surely has a cautioning effect – and is a welcome contrast to the shoot first, ask questions later approach that marks (and mars) far too many police precincts around the United States. In practice, the difference – not just across the Atlantic, but also with regard to Canada – between the permissible use of force and the nearly impermissible use of deadly force could not be larger. Police in Europe are conditioned to shoot, if they must, at the limbs – the arms or the legs. If the need arises, they can maim, but not kill. That means they basically never aim for the torso, which always involves a clear risk of killing that person. These would have been very instructive rules in the two most recent cases of Michael Brown in Ferguson and Tamir Rice in Cleveland. Brown was, by most accounts, running away when Darren Wilson shot him to death. He was certainly quite far away when he fell and was unarmed. What could possibly have been the threat at that stage – other than Wilson’s obviously twisted imagination? The Cleveland case of the 12-year old kid, Tamir Rice, also African American and carrying a toy gun, is even more breathtaking. Surveillance video shows the child playing by himself quietly before the sudden arrival of a police cruiser. He is momentarily startled – but shows no signs of aggression – and basically has no time to react before being gunned down on a playground (!). What on earth entitled the policeman Timothy Loehmann not so much to take the law into his own hand, but to shoot to kill? The family’s charge of murder in uniform stands to reason. A complete lack of proper training and professionalism would be the kindest of all interpretations. In part, the gun-toting police brutality is a direct result of improper legal doctrines being used in the United States. Most irritating, they are a consequence of the completely ill-advised “stand your ground” doctrines among civilians. In most jurisdictions, the police are entitled to use deadly force when they “feel” threatened, even if there is no objective reason to be afraid. That makes the decision to kill someone an extremely subjective – and therefore anything but a professional – choice. Worse, police in the U.S. expect to be shown special deference by members of the public at large. Noble sounding as that idea is in the abstract, in practical terms it has devastating results. Given that doctrine of “respect,” any hint of disrespect or disobedience during a routine encounter – even completely imagined – can escalate into a sidewalk execution. Combined with an ongoing legacy of historically charged, extraordinary demands of respect from racial minorities by law enforcement, such situations become exceptionally dangerous for non-White citizens. Since a policeman can expect total deference, all it takes to legitimize a shoot to kill action is feeling threatened. The doors to playing God and/or cowboy are wide open. This legal derivation, perverted as is sounds, is no accident. It is a full reflection of American culture and mythology. Today’s shooting practices and incidents allow the police to tap into the imagery of the Lone-Ranger sheriff establishing justice in a lawless landscape. From its earliest days, particularly in the American South, a certain segment of the governing (White) population and its support base have been convinced that a violent uprising by the non-White residents (originally those in slavery) was imminent. Today, that fear is a more basic bigotry involving constant fantasies of muggings and home invasions by African Americans, despite violent crime being at about its lowest point in over 20 years. And despite the fact that most violent crimes are committed white on white or black on black, but not black on white. The NRA — always eager to jump up for the “right of the people to keep and bear arms” and a “well-regulated militia” — obviously has a close interest in seeing these myths proliferate. The problem is also systemic. An over-militarized society – because of its recent penchant for engaging in unwarranted and/or illegal foreign wars – the United States has an oversupply of former military people and equipment in need of a civilian role at the end of their original service. Consider in this context the breathtaking features in places like the New York Times magazine, where former soldiers profess that all they have learned is to shoot and kill. Decades of warring in Iraq and Afghanistan have meant that soldiers learn precious few skills of any use in a civilian world, in contrast to what was the case between, say, 1980 and 2000. The point here, though, is not so much to blame individual policemen. To be sure, Darren Wilson’s actions were completely unacceptable and, in all likelihood, they were certainly sufficient for him to stand trial, if not be convicted at least for involuntary manslaughter. The problem, as especially the case in Cleveland indicates, is far bigger. The prevailing culture in the United States, including in New York City, where policemen go on shooting rampages around 34th Street, one of the city’s tourist meccas, is to accept the police playing God. The number of incidents when off-duty police feel called upon themselves to act on their own volition shows just how pervasive this wholly unacceptable practice is, as a recent case of Miriam Carey, a young mother and dental hygienist in Washington, D.C. (also a black woman) underscores. “Justice” was dispensed with 26 bullets. That’s insanity in action. Police are supposed to operate under the law. Perverted as the application of legal doctrines has become inside the United States, that may technically still be so. Even if Darren Wilson actually did “follow the law” when he killed Michael Brown, that does not mean the law was right. In an international context of other civilized countries, though, U.S. practices are clearly outside the bounds of what is seen as legally permissible. For the same reason that many European countries embraced generous welfare systems where the United States did not, sensible gun control laws and police deadly force rules have become far more widely adopted in peer nations. Those other societies, generally more homogenous, are not gripped by primordial racial panic in the way the United States is. From abroad – as well as from many of America’s inner cities (that elegant cover-up term for very poor people) – the pervasive use of deadly force by police is seen as something very different. They believe, with excellent reasoning, that U.S. police act in a manner above the law – and certainly above the people, particularly the racial minority people.